I know in some cases it looks cool but i just dont know whats the point... you got cars with their back wheels all bent, crazy wheel off set, no camber whats so ever, then they slam their cars with 18" wheels with a thin @ss tire... i dont get this.... someone please explain this new trend, and why so exagerated....?? 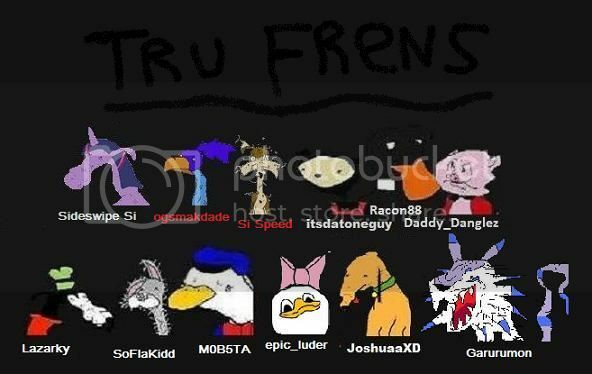 Last edited by Lude787; 11-23-2011 at 04:55 PM. there is no viable point in doing such things. as for the reason people do it.... they're retarded?? i don't think we'll ever know, honestly. but it could have something to do with why people have loud bass or why people have loud exhaust. because they want attention. that's ONE reason. um, some people just think it's cool looking. and logically, if ONE person thinks it looks cool then someone else must think it looks cool. If you ask me, I think its the most retarded thing Ive ever seen done to a car. Whatever, I hope they like buying new tires every week. I'll stick with the look that saves costly tires. Haha They wouldnt survive in Dayton, Too many speed bumps in residential downtown. But IMO Nothing wrong with lowering the car and getting a moderate flush look thats drivable!!! But That wheel flex and BS that these people do is just retarded!! how the hell would you do a burn out haha. Pretty much. They wouldn't last a minute on our ****ty streets. It's the most ridiculous fad I've even seen. It looks absolutely ****ing retarded and serves no purpose other than to make everyone think you're cool. Wheels - You're doing it wrong. Man, you got me there, I don't get it either. To each his own and all, but I can't even look at them too long, it irks me and I just wanna fix em! Lol. And 22's on classic cars, that kind of thing legitimately saddens me to see. Bah, too many people abuse the "aggressive" or "flush" wheel ideology. Yes, they're doing it wrong. But not everyone else is. 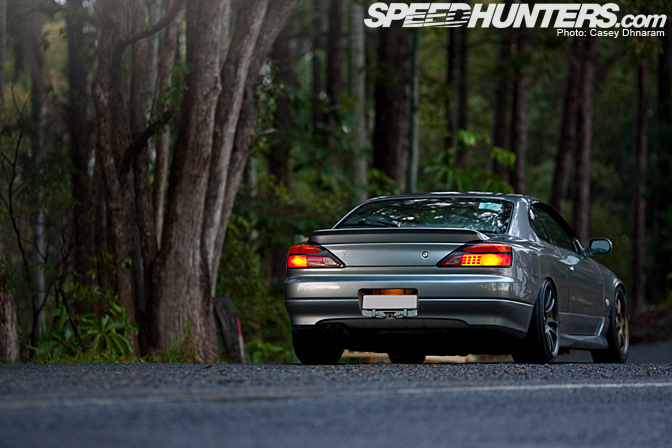 Yeah, offset isn't everything; that Silvia S15 proves it nicely. 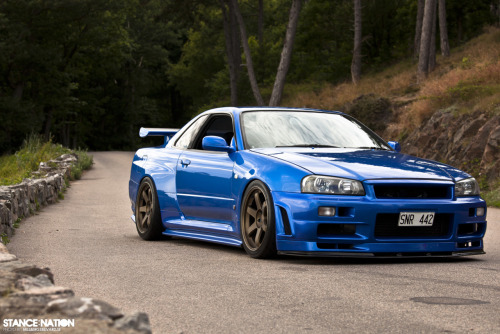 However, the offset in that oldschool Skyline GT-R is intense. I'd give my left nut for a car like that. I think just a bit of camber is nice.. but to their extent, that's just silly and dumb. Hard to explain, I'll try though. "Flush" is typically a car with moderate lowering, and slight camber adjustments. In the examples I posted above, that would apply to the charcoal Silvia S15. "HellaFlush" is usually excessive amounts of lowering and moderate to high amounts of negative camber. In the examples, the red 240sx/Silvia S14 would best fit this description. 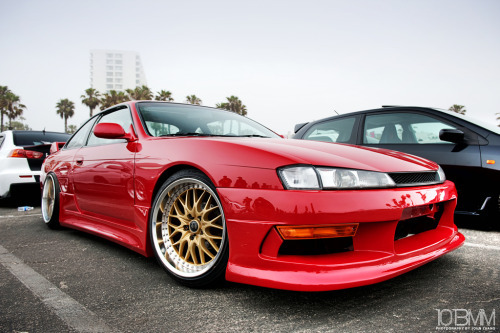 I don't care much for "hellaflush", but I honestly wouldn't mind owning that red S14. Lastly, my favorite style is "Aggressive" fitment. This is achieved with wider wheels, moderate lowering, and some camber adjustments. The two GT-R's, Evo X, and S2000 are great examples. I prefer this "style" the most, as you can actually drive the car without scraping every minor speed bump, and you can easily track the car. Fender rolling is almost always required, however it depends on the vehicle. The Evo X has plenty of room in the wheel wells; one could fit 18x9.5" wheels without any fender roll. Those are show cars, nothing more. It's just a different more radical style. I'm not a huge fan but sometimes it can look pretty cool. I'm not sure why everyone takes it so seriously. Also even if you don't like the style you've gotta respect the massive amount of work they put into those cars. To me flush means that the wheels allign with the fenders.. It doesn't poke out or in..
Hella frush is what we called "Mexican style" a few years back.. Because of cholos with daytons.. Wheels that poke out and are to wide and with barely any tire..
You guys gotta understand the trends in Japan and US. Oni camber is the style there and even if it looks crazy its one of those things they dgaf about. Its just the mindset we have. Years ago neg offset on a Honda was stupid...look at it now. All over the place. Back then half lips or bumpers were retarded...now every civic wants a bys bumper, J blood, white crow, azect, vizage etc. Someone mentioned before we use to make fun of the mexi-poke and man...look at us now. If you don't like the trend, make your own and I'm sure there's those out there that will love it too. I wish that people would stop nutswingin' honestly. If one person did it I'd give them props for being different and move on. The more I see it, the more I dislike it. Anything sticking out past the fenders looks like balls, especially if you're on any type of noticeable negative camber. and don't even get me started on tire stretching. being different isn't bad, but if I don't like it you're not going to change my mind. Eh some people like it and some people don't. Its one of those things. would you do a hella flush look on your lude?